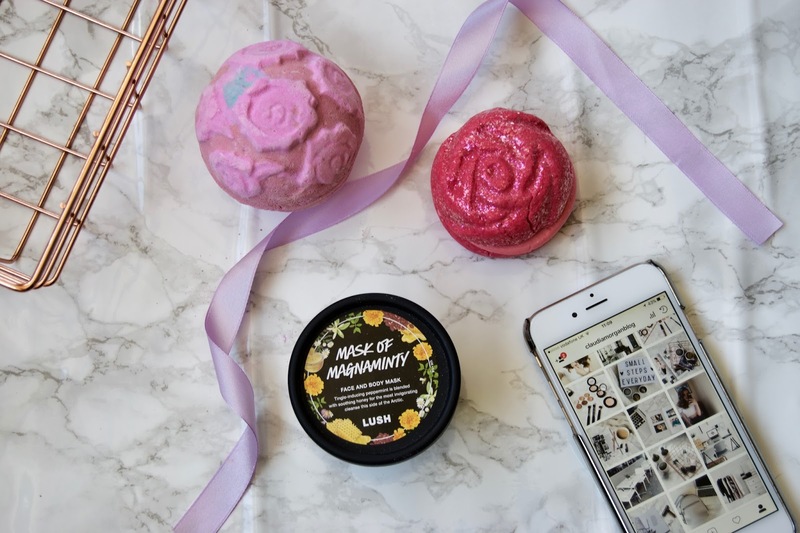 Everyone loves being pampered whether its at a spa or in your own home and who can resist a long hot bath with a range of bubbly products included.. I know I can't. 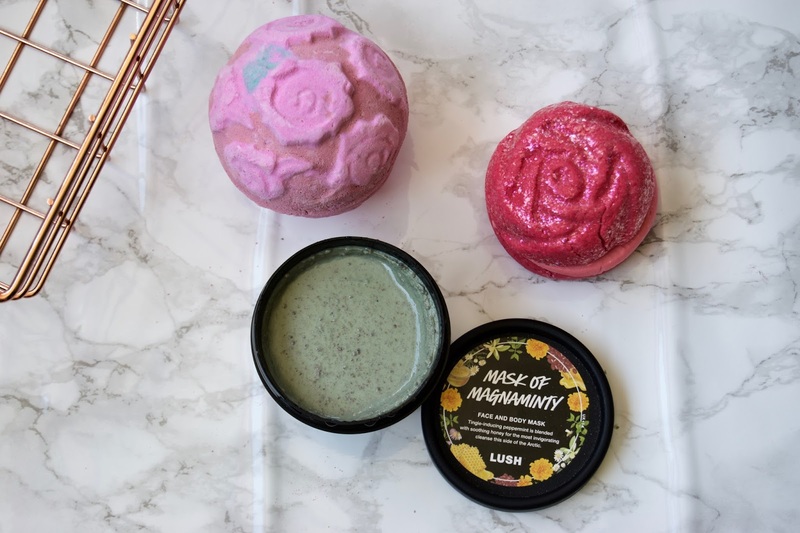 Here are a few of my new favourite Lush products to use and how I make the most of my pamper evenings. This product not only looks cute but smells incredible. I've always loved sweet floral scents but for a while steered clear of the rose scent and I'm not entirely sure why so I decided recently to go out of my comfort zone of Lush Products and try this and I would definitely purchase it again. When you pop it into the bath it immediately turns it pink... which I expected but I didn't expect to see a layer of yellow rose petals when I looked again. This is such a cute addition to the product and I absolutely love when Lush give you a little surprise like this, it makes the whole thing feel more expensive than it is! If you are a lover of the Rose Jam shower gel but miss it when its out of season, this is the product for you. Its literally the same scent just a crumbly bubbly version! 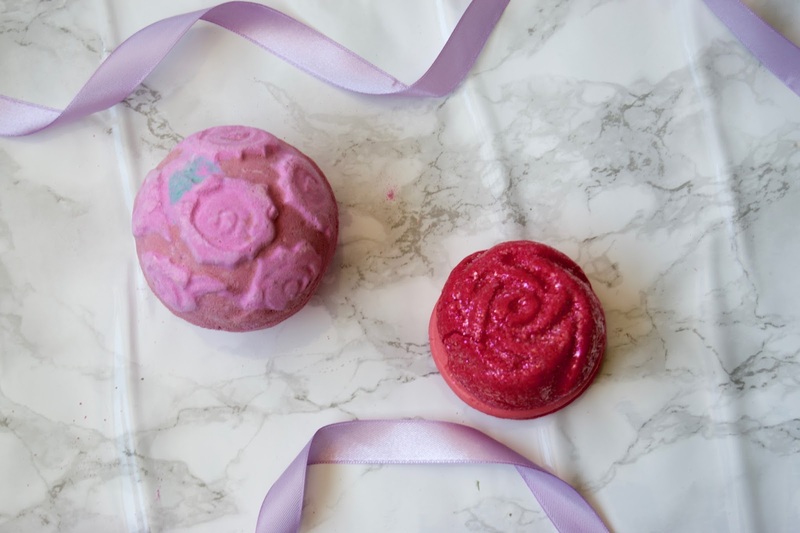 My personal favourite thing about this product is that you don't need a lot to make your bath a bubble heaven, meaning you can use it for more than one bath if you store it in a safe place! 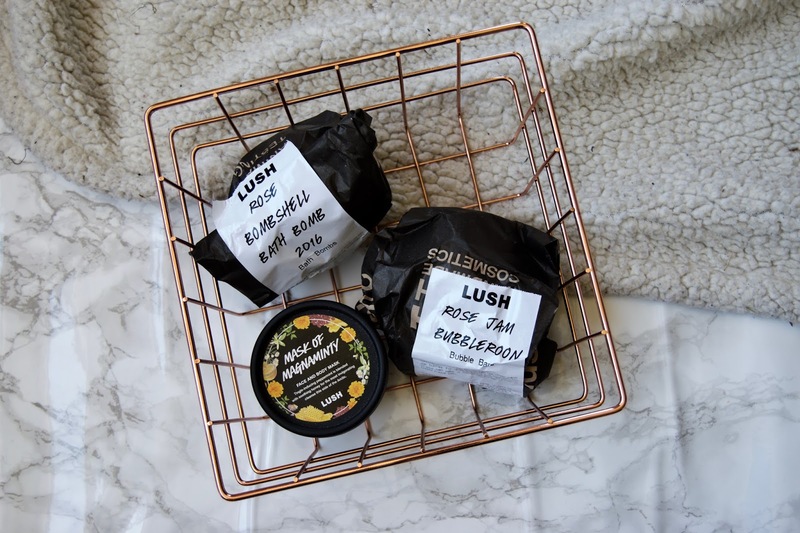 The range of oils and butters makes your skin feel unbelievably soft and moisturised, calming you instantly and making your evening that little bit better! I'm such a bath lover, theres honestly nothing I love more than relaxing in a mountain of bubbles. My best top tip to relax and make the most of your bath is to take an iPad or a Laptop into the bathroom with you and store it in a safe place (that won't get wet!). 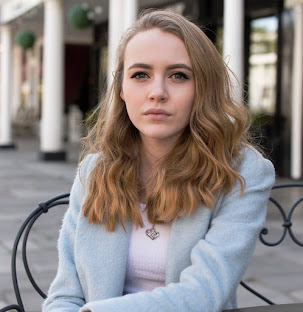 I personally put my laptop on a chair, a fair distance from the bath so it doesn't get anywhere near the water and I either play a film or catch up on my latest favourite shows like Riverdale or Ru Pauls Drag Race. This is a great way to get two things done at once if you're too busy to catch up with the latest TV trends. This product is one of my favourites from Lush, I have owned it a fair few times and I would 100% recommend this to anyone. The best thing about this product is that you can use it as a mask and then use it to exfoliate your skin whilst you're taking it off. This is perfect for the lazy people, like me who don't have a skincare routine and if they do, aren't good at keeping up with it! 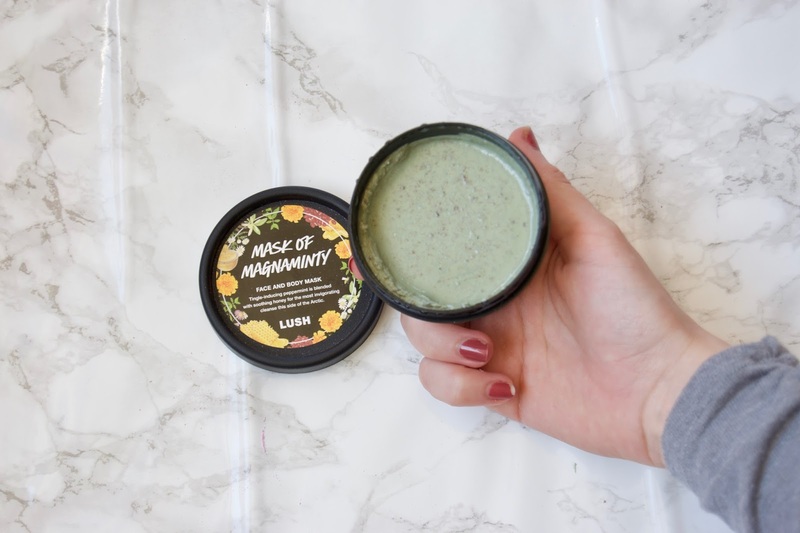 The peppermint oil included in the mask gives you a slight tingle however, works alongside the other oils included to keep your skin soft and glowing for a couple of days after use! What is self-preserving, you may ask? This mask comes in two different types of formula, one which is self preserving and one which isn't. The self-preserving product contains a mix of extra antibacterial honey which helps the product stay clean on its own, stopping all different types of bacteria from getting into the product. The added honey keeps the product thick and stops it from drying as much as the preserved product.